Evanstan manip. *not mine*. HD Wallpaper and background images in the Chris Evans & Sebastian Stan club tagged: photo chris evans sebastian stan evanstan manip edit. 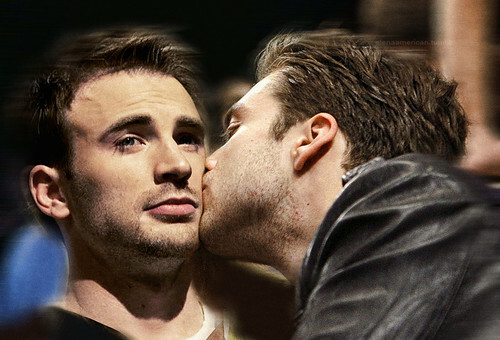 This Chris Evans & Sebastian Stan fan art might contain 음악회, 콘서트, 신사복, 비즈니스 정장, 초상화, 얼굴, 근접 촬영, 얼굴 만, 세로, and 헤드샷.